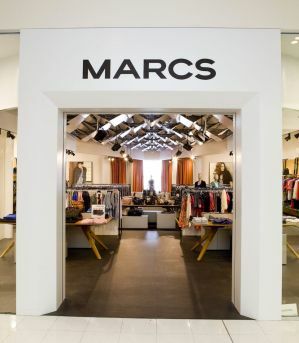 Excited shoppers recently streamed into Canberra Centre for a peak at the first Marcs store to open in the Australian national capital of Canberra City – and it wasn’t just the range of men’s and women’s fashion that caught the collective eye. 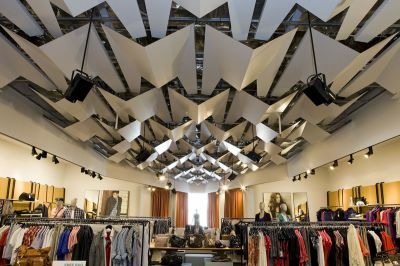 The store is the first in Australia to showcase Marcs’ new store design concept, which includes an attention-grabbing ceiling made from Dibond® aluminum composite material by 3A Composites. Dibond is a market-leading panel with unique product properties that allow for routing and folding. Dibond was utilized not only for the ceiling but also for the store entrance. Mark Simpson, director of Universal Design Studio, said Dibond was chosen for its light weight, versatility and elegance. The Marcs project is just one striking example of what can be achieved with Dibond, which has been described as “the composite panel for people with ideas”. With outstanding features such as exceptional flatness, formability, durability and reusability, Dibond is Australia’s premiere choice in aluminum composite material for shop-fitting. 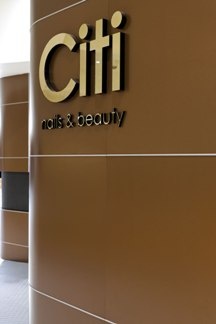 Another newly designed store in Australia that demonstrates the Dibond difference is Citi Nails & Beauty in Westfield Marion, Adelaide’s largest shopping center. When selecting a material for the salon’s stylish curved shop front, the designers opted for Dibond Brushed Copper to complement a design concept finish based on dark and contrasting colors.